CooksRecipes has quality, kitchen-tested recipes for wholesome pumpkin muffins you can count on for successful deliciousness. 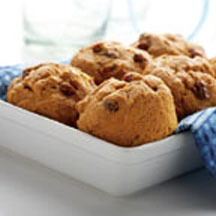 Pumpkin adds moisture without adding fat and helps make these muffins light, tender and springy. Enjoy them in the morning, afternoon or evening. 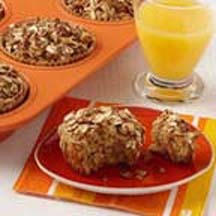 With only 100 calories for 3 mini-muffins, these healthy and delightful mini-pumpkin muffins are topped with crunchy granola. 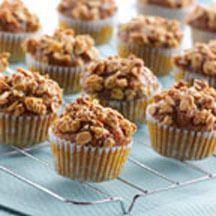 These moist and tender applesauce and oat muffins, topped with a wholesome oat streusel, make a great addition to breakfast or brunch.